Good morning everybody! Apologies for the lack of review last week; I’m currently property searching, so that has taken up a fair amount of time as you can probably imagine. This review is also a bit late because I’ve been busy once more, and I’ve been a bit under the weather. Anyway, I’ll quickly sum up my thoughts on the Mongolian Special. I really liked the idea, and the fact it didn’t seem to be heavily scripted (if at all). However, I feel that it didn’t really need the 1 hour 30 running time in all honesty. Anyway, that aside, let’s move on this week’s episode, which was a moving finale to end season 3. If you’re not a fan of Fords then you may want to duck out of this episode as it’s very Ford focused. The Mondeo, as Clarkson, Hammond and May explain, is soon to be no more, so to celebrate the car’s history, the trio trace the car’s bloodline back to the Cortina. Clarkson starts off in Cadwell Park talking through the car’s history, and his passion and enthusiasm is very clear to see. Before we know it, Jezza is strapped in to the infamous Lotus Cortina, the very first fast Ford. He slithers this classic performance car around the sweeping bends of Cadwell Park and you can tell he is having the time of his life. At this point, the film has my undivided attention and not once did I feel the need to pick up my smartphone. Clarkson then re-joins the fold by talking through the fray by taking a trip down memory lane to tell the story of the time his Dad met him at school in a new Cortina 1600E. As you can imagine, this is a story told with much nostalgia and passion, which really helped to draw me in as a viewer. I loved the way how Clarkson said how ‘proud’ he was of his Dad – that really ‘got me in the feels’, so to speak. After Clarkson, Hammond and May reminisce about their Ford memories in the tent, we join the Hamster at the Eboladrome in one of Ford’s greatest hits – the Sierra RS Cosworth. This is a car that lit the performance car scene in the 90s thanks to an engine supplied by Cosworth – hence the name – which had an aluminium twin cam head and a turbo, which Hammond describes as being as large as a dustbin. He then talks about the car’s success in the touring car scene, describing how it was the most successful race car ever made. 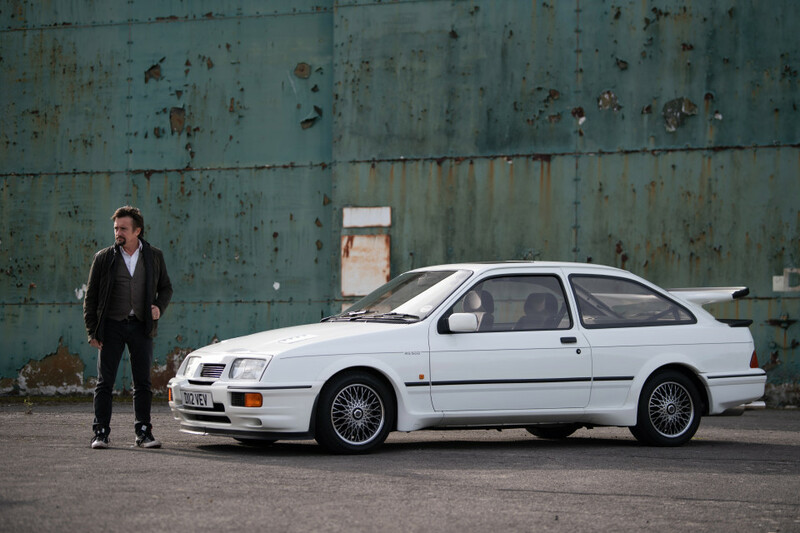 That’s enough talking, though – Hammond takes this iconic Fast Ford around the Eboladrome to see what the Cossie can do, and I’m sure it didn’t really feel like ‘work’ for Mr Hammond. Overall, it was a fantastic film and it’s proof that you don’t need an expensive supercar for pure driving thrills. However, as Hammond explained, the Cosworth had the performance o the supercar, but the locks of a shed. As a result, they were stolen more often they were bought. Pity. After the Cossie hoons around the Eboladrome under the stewardship of Abbie Eaton, the GT trio set out in the only car that they all like – the Ford Mondeo ST200. This was the Mondeo estate that had a V6 dumped under the bonnet to give it firecracker performance. Despite this, it was still practical as Hammond pointed out thanks to the estate body shape, and May complimented the car on its comfort, and Clarkson? Well, take a wild guess. The trio then move on to the ST220 – a car which Clarkson states should have sold by the bucketload, but it didn’t. This he states, is thanks to cars like the Toyota Picnic – MPVs. Hammond gets his own back by taking a sledgehammer to said car, much to my amusement. 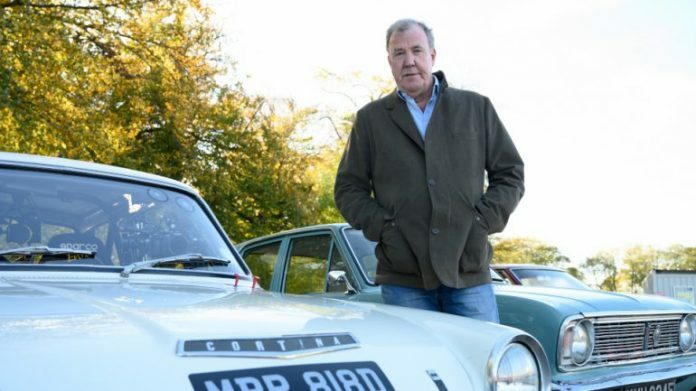 After the Picnic got a healthy battering, Clarkson talks about the demise of the Mondeo, and how it’s soon to be dead. With that in mind, Clarkson, Hammond and May arrange a fitting funeral for the Mondeo, thanks to Lincoln Cathedral and what seemed to be a whole nation’s worth of Ford owners. I’ve never owned a Fast Ford, but the climax of the show made my hairs stand on end, and it was one of the most captivating scenes I’ve seen on The Grand Tour. Despite being a massive petrolhead like me, my wife did think that the hymn singing was a bit “silly”, but I disagreed, therefore I barely responded to her. Partly because I thought she was wrong and also because I was too engrossed in what was going on. A very good way to finish their tribute to the Ford Mondeo. After that compelling film, we go back to the tent where we are met by an unusually teary Clarkson. At first, one would think that it was the Ford film that brought the orangutan to a blubbering wreck, but it soon becomes clear what the real reason is. The Grand Tour as it is, is no more. The tent and the track are going, as are the audience. At this point, it seems like it’s the end of the road for the Clarkson, Hammond and May dynasty. After dropping this massive bombshell, an extensive montage is played from their 16 years together (May was late, remember) and I think it was a nice touch that they were able to use footage from the Beeb as well, if you consider the terms in which CHM left. Watching all that footage brought a sizeable lump to my throat as I grew up watching Top Gear, and in fact, I’m re-watching the montage as I type this, full of emotion. Some people simply wouldn’t comprehend these feelings, as after all, this is merely a TV show, but for me, it’s so much more. It’s like spending time with three mates that drive fast cars and like to fall over a lot. Thankfully, this is not the end. Although The Grand Tour as we know it is dead, the trio will continue, but the format will be changing somewhat. Moving forward, the trio will do more specials and road trips. And on that not so terrible disappointment, it’s time to end.